The townspeople of Angono, Rizal, definitely know how to throw a BIG fiesta. The annual town’s fiesta of Angono held every 23rd of November is a celebration in honor of San Clemente (patron saint of fishermen). The main event is a procession of the patron saint, which is carried by male devotees, convoyed by “pahadores” (devotees dressed in colorful local costumes or fishermen’s clothes, wooden shoes and carrying boat paddles, fish nets, traps, etc.). Adding to the festivity is the “Higantes” (giants). Higantes are giant paper mache images measuring four to five feet in diameter and ten to twelve feet in height. The street event leads to a fluvial procession in Laguna de Bay, however, the festivities continue until the image is returned to its sanctuary. And where does the idea of “higantes” came from? The “higantes” is a century-old tradition, dating back when Angono was a Spanish hacienda. During that time, the hacienda owners were concerned about the costs of all the celebrations in the town leading to prohibiting all except for one annual fiesta. To make the best out the situation, the townspeople decided to add more enjoyment to the single fiesta they can have. Through the art form from Mexico brought by the Spanish priests, the people created larger-than-life caricatures of their Spanish landlords. True to the Filipino essence of celebration, the event became a spectacular celebration, and a tricky inside joke. Furthermore, there was a story that a Frenchman who was cruising from Manila Bay passing to this coastal town of Laguna de Bay, mesmerized by the town divided by a river, he predicted that someday giants would arise and become famous. Taking his words, Angono is the hometown of the two highly celebrated national artists of the country, namely Carlos “Botong” Francisco in the field of visual arts and Professor Lucio D. San Pedro in the field of music. Going back to the “higantes”, the head of the giants is shaped from a mold made of clay, then dried under the scourging heat of the sun. As modern technology set in, the mold made of clay is now made of plaster of Paris and resin. The mold is then glued with newspapers, split in the middle, sun-dried and later on put together by pasting a brown paper to cover the split. Afterwards, it will be sun-dried again and hand painted. 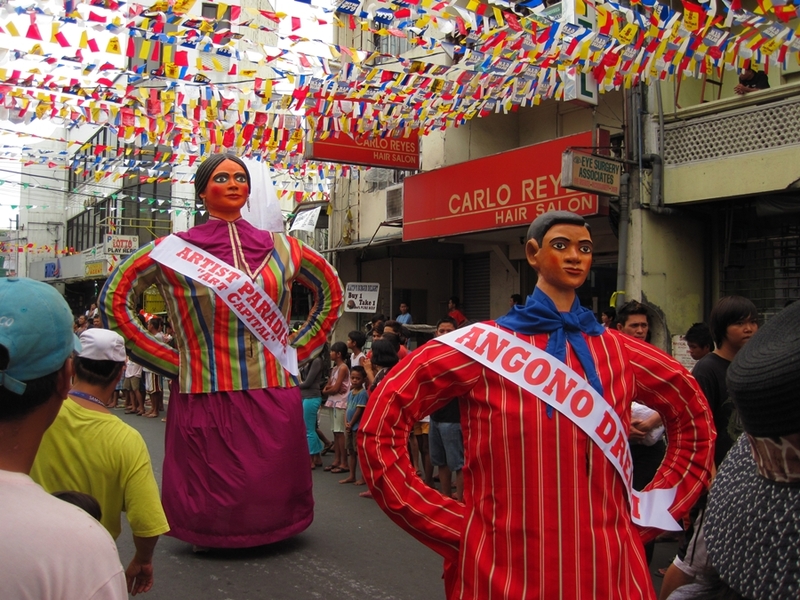 The body of the “higantes” is made of bamboo or yantok (rattan). Thin iron bar can also be used to shape the body of the giants. To complete the masterpiece, the “higantes” will be glam-up with colorful costumes and accessories to finish the look. A festival that shows the fun-spirited Filipinos, the ability to make the best of any bad situation given. 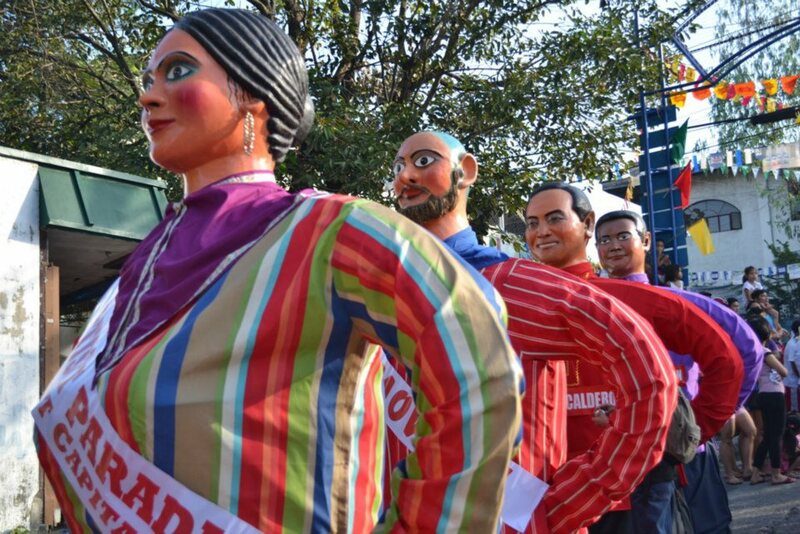 Indeed, Higantes Festival is a celebration of BIG stories. If you enjoyed the bits of information on Higantes Festival, make sure to subscribe to my mailing list to read my latest blog straight from your inbox. Or, follow me on Facebook orInstagram for the latest scoop from The Mixed Culture. For any questions, feel free to email me or comment below. Previous Previous post: Oh my Hot Tamales!